The United Nations Research Institute for Social Development (UNRISD), established in 1963, is an autonomous research institute within the UN system that undertakes multidisciplinary research and policy analysis on the social dimensions of contemporary development issues. Through our work, we aim to ensure that social equity, inclusion and justice are central to development thinking, policy and practice. UNRISD has done extensive research on social protection and human rights, including research papers including Diversity in Moving Towards Integrated, Coordinated and Equitable Social Protection Systems: Experiences of Japan, the Republic of Korea, and Taiwan, Province of China (2015), Gendered Impacts of Globalization: Employment and Social Protection (2012) and flagship report Combating Poverty and Inequality: Structural Change, Social Policy and Politics (2010). This platform began in 2013 as a collaboration between UNRISD and the then United Nations Special Rapporteur on Extreme Poverty and Human Rights to enhance awareness of, and develop the capacity to implement a human rights-based approach to social protection. The International Labour Organization (ILO), established in 1919 and a specialized agency of the United Nations since 1946, is devoted to promoting social justice and internationally recognized human and labour rights, pursuing its founding mission that labour peace is essential to prosperity. Its main aims are to promote rights at work, encourage decent employment opportunities, enhance social protection and strengthen dialogue on work-related issues, in short: decent work. As a standard-setting organization, the International Labour Organization has maintained and developed a system of international labour standards aimed at promoting opportunities for women and men to obtain decent and productive work, in conditions of freedom, equity, security and dignity. These include a number of Conventions and Recommendations on different aspects of social protection, including the Social Protection Floors Recommendation, which was adopted in 2012 by the governments, employer and worker representatives of the ILO’s 187 member States. The ILO, with its long experience in the field of technical cooperation activities, research and policy development on various aspects of social protection systems, provides ILO member States with tools and assistance to achieve and maintain for its people the right to social security. 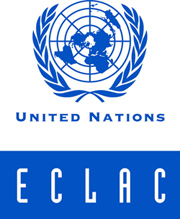 The Economic Commission for Latin America and the Caribbean (ECLAC), founded in 1948 and headquartered in Santiago, Chile; is one of the five regional commissions of the United Nations. Its primary objective is contributing to the economic and social development of the region. ECLAC develops applied research, generates analyses, disseminates results and formulates policy recommendations to strengthen countries’ social policies and programmes, especially through its Social Development Division. In particular, ECLAC provides policy recommendations on the implementation of social protection systems, based on financially sustainable mechanisms, comprehensive solidarity frameworks and the rights-based approach. The Economic and Social Commission for Asia and the Pacific‘s (ESCAP) work on social protection advocates for more comprehensive and robust social protection systems to reduce inequality and poverty through the universal provision of affordable and accessible health care and income security along the life cycle. The Social Protection Floors Recommendation (No. 202), Sustainable Development Goals and ESCAP’s Resolution 67/8, Strengthening Social Protection Systems in Asia and the Pacific (2011), provide the guiding framework for the organization’s work on social protection. On that basis, ESCAP supports national and regional efforts to enhance social protection systems by functioning as a knowledge platform for policy makers and stakeholders, and providing technical support to member States to strengthen relevant social protection initiatives. ESCAP has also developed a Social Protection Toolbox to facilitate South-South cooperation in social protection through building capacity and political commitment. 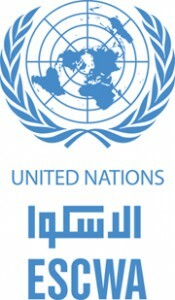 The United Nations Economic and Social Commission for Western Asia (ESCWA) is the regional development arm of the United Nations in the Arab region, serving as an interface between the global and national arenas. Through research, advocacy and capacity-building, ESCWA works to support the achievement of inclusive, rights-based and sustainable economic and social development for the people of the Arab region. It also serves as an important platform to support regional cooperation as well as to promote regional priorities in global policy dialogues and bring the Arab voice to the world stage, ensuring local and national concerns are reflected in global policy formulation. Under its social development portfolio, ESCWA works to enhance the capacities of member States to adopt and implement rights-based social policies that promote participatory and inclusive social development. This includes priority areas, such as social inclusion and social protection. The Food and Agriculture Organization of the United Nations (FAO), established in 1945, works to achieve food security for all and to make sure people have regular access to enough high-quality food to lead active, healthy lives. FAO’s three main goals are: the eradication of hunger, food insecurity and malnutrition; the elimination of poverty and the driving forward of economic and social progress for all; and the sustainable management and utilization of natural resources, including land, water, air, climate and genetic resources for the benefit of present and future generations. Social protection is an important element of FAO’s support to its member countries. A key focus of the work is aligning social protection mechanisms with agricultural and rural development policies, such that these help improve food security and nutritional outcomes, reduce rural poverty, and enhance resilience of rural households. Evidence from its From Protection to Production (PtoP) programme shows that social protection can be very effective as a risk-management tool and improve both access to and availability of food by raising incomes and stimulating agricultural production and the local economy. Conditions and needs vary widely across countries. Accordingly, FAO works with all relevant stakeholders, national and international, to disseminate relevant knowledge as to what works and what does not, ensure that solutions are tailored to existing needs and build capacity to integrate social protection into broader development strategies in pursuance of the sustainable development goals. The United Nations Entity for Gender Equality and the Empowerment of Women (UN Women) leads the charge in building knowledge on gender equality and women’s empowerment through cutting-edge policy research, innovative ideas and robust evidence. By developing knowledge and harnessing evidence, UN Women supports civil society and governments to develop laws, policies and strategies, and strengthen their capacity to achieve gender equality. UN Women’s commitment to promoting gender-sensitive social protection is reflected in its research, including its flagship report Progress of the World’s Women 2015-2016: Transforming Economies, Realizing Rights, which argues that economic policies must work in concert with social policies to make the economy work for women. One of its key arguments is that well-designed social services and social protection measures can enhance women’s income security and their ability to expand their life options. In order to do so, social protection measures must be designed with women’s rights at their centre. UN Women has also released a discussion paper series featuring original research by leading feminist researchers, including important work on social protection. A forthcoming policy brief series will make further contributions to the debate focusing, among others, on how social protection floors can be designed to benefit women and how pension systems need to be transformed to promote gender equality in old age. Established in 1946, the United Nations Children’s Fund (UNICEF) works for children’s rights, survival, development and protection. A growing area of work in UNICEF is social protection, which is central to our global mandate to advocate for children’s rights to help meet their basic needs and expand their opportunities to reach their full potential. Our work on social protection is framed within a human-rights based approach to development, and is guided by principles of universality, accountability, non- discrimination and participation. UNICEF works in social protection in more than 100 countries, supporting a wide range of activities including social protection policy formulation, programme design and implementation, social protection system development, strengthening of social welfare workforce, as well as research, evidence generation and advocacy. Our work in social protection is intended to help countries: (i) expand coverage of social protection programmes for children and families; (ii) develop social protection systems to enhance outcomes for children and their families; and (iii) strengthen social protection responses in humanitarian and fragile contexts. Our guiding publication on social protection is UNICEF’s Social Protection Framework, which highlights the relevance of strengthening social protection systems and expanding linkages within social sectors to enhance equity for children. UNICEF is also engaged in various research and evaluation initiatives, and has produced numerous research publications on the impacts of cash transfer programmes on children. The Joint United Nations Programme on HIV/AIDS (UNAIDS) leads and inspires the world to achieve its shared vision of zero new HIV infections, zero discrimination and zero AIDS-related deaths. UNAIDS unites the efforts of 11 UN organizations—UNHCR, UNICEF, WFP, UNDP, UNFPA, UNODC, UN Women, ILO, UNESCO, WHO and the World Bank—and works closely with global and national partners towards ending the AIDS epidemic by 2030. Social protection refers to public and private initiatives that provide income or consumption transfers to the poor, protect the vulnerable against livelihood risks, and enhance the social status and rights of the marginalized groups. Social protection encompasses cash and in-kind transfers, economic activities, health insurance and employment assistance to reduce inequality and exclusion in accessing HIV services. The Economic Commission for Africa (ECA) promotes the economic and social development of its member States, fosters intra-regional integration and promotes international cooperation for Africa’s development. ECA is mandated to operate at the regional and sub-regional levels to harness resources and bring them to bear on Africa’s priorities. To enhance its impact, ECA places a special focus on collecting up-to-date regional statistics in order to ground its policy research and advocacy on clear objective evidence; promote policy consensus; provide meaningful capacity development; and provide advisory services in key thematic fields. The Office of the United Nations High Commissioner for Human Rights (OHCHR) represents the world’s commitment to universal ideals of human dignity. OHCHR has a unique mandate from the international community to promote and protect all human rights. The High Commissioner heads OHCHR and spearheads the UN’s human rights efforts. OHCHR offers leadership, works objectively, educates and takes action to empower individuals and assist States in upholding human rights, including the right to social security.